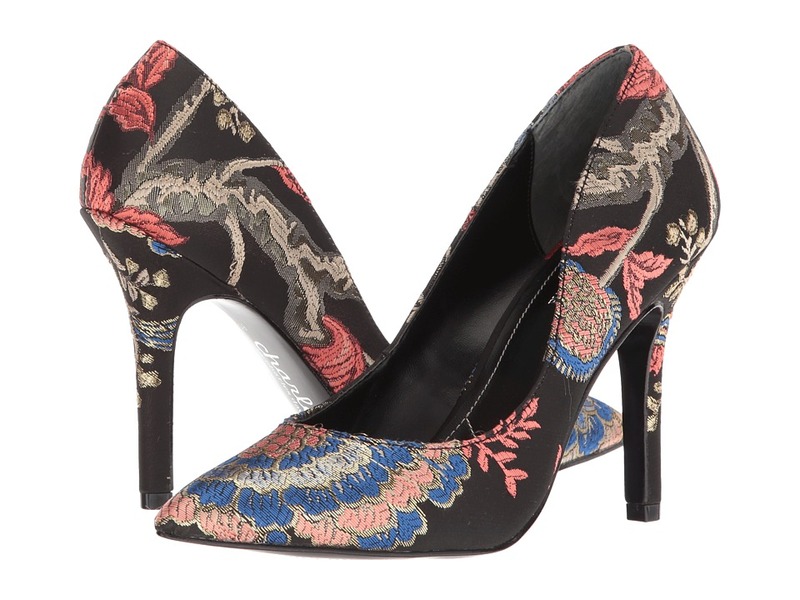 Feel your best and look your best with the help of these radiant Badgley Mischka pumps. Chunky glitter-covered synthetic upper. Slip-on style. Pointed toe on a d~Orsay silhouette. All synthetic linings. Glitter-wrapped heel. Leather sole. Imported. Measurements: Heel Height: 3 in Weight: 8 oz Product measurements were taken using size 7.5, width M. Please note that measurements may vary by size. Weight of footwear is based on a single item, not a pair. Be effortlessly divine in these timeless Nina pumps. Upper made of fabric and mesh Slip-on wear. Pointed toe features decorative bow. Wrapped heel. Leather sole. Imported. Measurements: Heel Height: 2 1 2 in Weight: 7 oz Product measurements were taken using size 8.5, width M. Please note that measurements may vary by size. Weight of footwear is based on a single item, not a pair. Sizzle the pavement this weekend with these sassy pumps by Eric Michael. Leather upper with decorative cutouts. Buckle and zipper closure for a secure fit. Man-made lining. Lightly cushioned insole. Stacked heel. Man-made outsole. Imported. Measurements: Heel Height: 3 in Weight: 9 oz Product measurements were taken using size 39 (US Women~s 8.5-9), width M (B). Please note that measurements may vary by size. Weight of footwear is based on a single item, not a pair. The Bandolino Tad wedge pumps flaunt classic flair that will take you from croissants to cocktails and everywhere in-between. Man-made patent uppers. Easy slip-on wear. Almond toe. Complementary rectangular vamp accent. Man-made lining. Lightly-padded footbed. Covered wedge heel. Synthetic outsole. Imported. Measurements: Heel Height: 1 1 2 in Weight: 7 oz Product measurements were taken using size 7.5, width M. Please note that measurements may vary by size. Weight of footwear is based on a single item, not a pair. 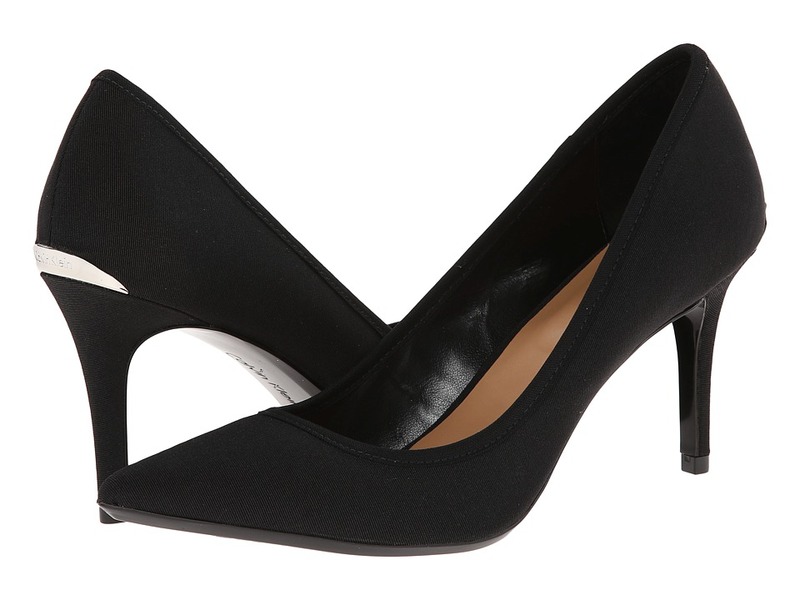 Elegant and sophisticated, these SJP pumps are perfect for all-day style. Man-made upper. Slip-on style. Round toe. Leather lined and lightly padded leather-covered footbed. Signature back stripe. Sturdy chunk heel. Leather outsole. Made in Italy. This item may ship with an attached security tag. Merchandise returned without the original security tag attached or a damaged tag may not qualify for a refund. Measurements: Heel Height: 2 3 4 in Weight: 8 oz Product measurements were taken using size 36.5, width B - Medium. Please note that measurements may vary by size. Weight of footwear is based on a single item, not a pair. Give your evening ensemble an elevated boost with these eye-catching crisscross pumps. Synthetic upper. Back zip closure. Round-toe silhouette. Eye-catching crisscross vamp straps. Synthetic lining and footbed. Wrapped stem heel. Synthetic outsole. Imported. Measurements: Heel Height: 3 1 4 in Weight: 8 oz Product measurements were taken using size 9, width M. Please note that measurements may vary by size. Weight of footwear is based on a single item, not a pair. 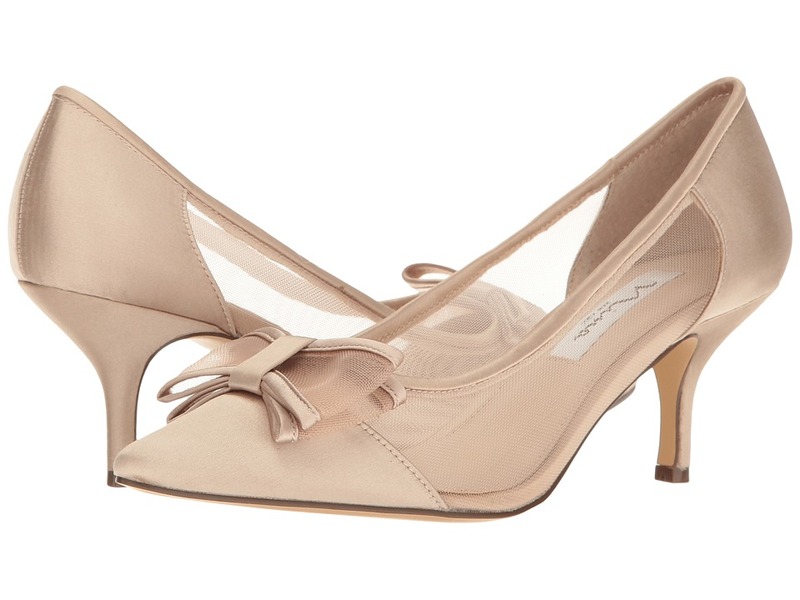 Express captivating confidence while you are wearing your Salvatore Ferragamo Vinci pumps. Suede leather upper. 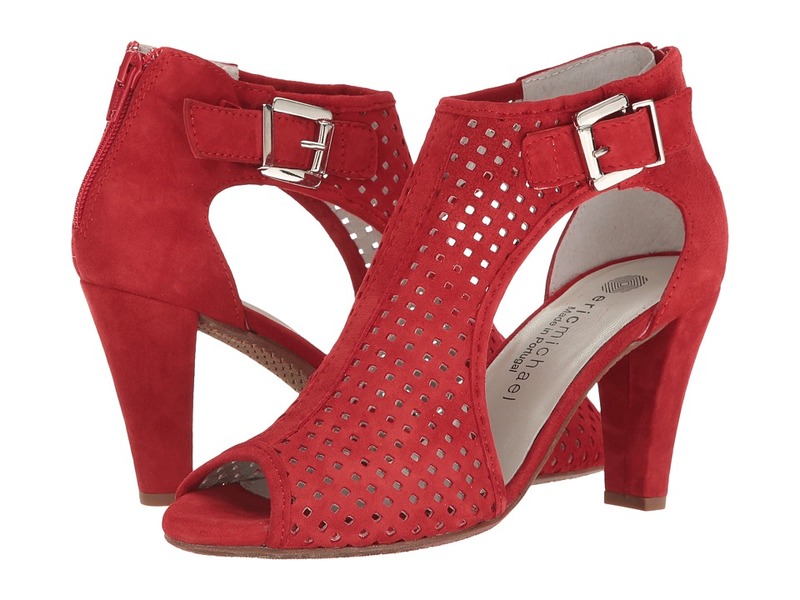 Exquisite cut-out designs up through the vamp with wrap-around laces at the ankle. Open-toe silhouette. Leather lining. Lightly padded leather footbed. Wrapped cylinder heel in a golden sheen. Leather outsole. Made in Italy. This item may ship with an attached security tag. Merchandise returned without the original security tag attached or a damaged tag may not qualify for a refund. Measurements: Heel Height: 2 1 2 in Weight: 9 oz Platform Height: 1 4 in Product measurements were taken using size 9, width B. Please note that measurements may vary by size. Weight of footwear is based on a single item, not a pair. The Adriel Viola is part of the Clarks Collection. Voil&amp#225! A gorgeous pair of pumps for your collection! Leather, patent leather, or snake upper. Easy slip-on style. Textile lining feels great against the foot. OrthoLite footbed with Cushion Soft technology for all-day comfort. Durable TR outsole. Imported. Measurements: Heel Height: 3 in Weight: 9 oz Platform Height: 1 2 in Product measurements were taken using size 8.5, width B - Medium. Please note that measurements may vary by size. Weight of footwear is based on a single item, not a pair. The Chorus Carol is part of the Clarks Artisan Collection. 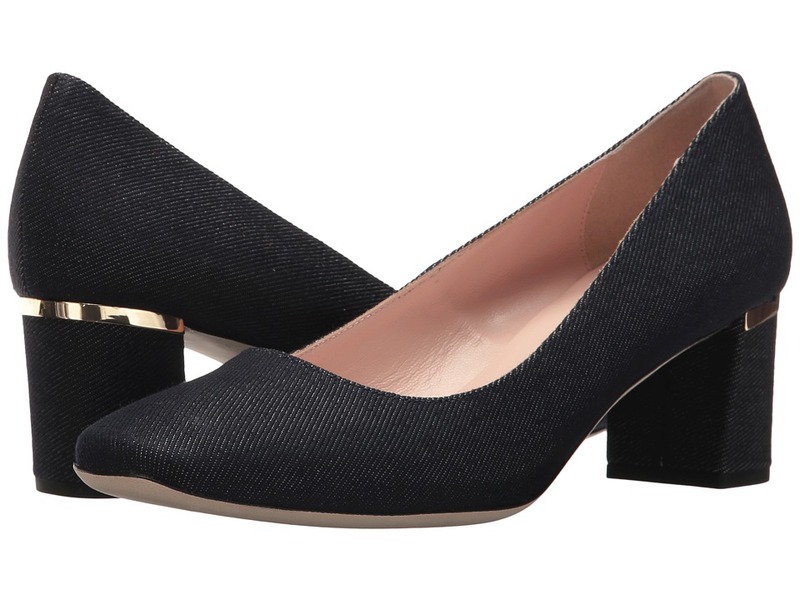 Put together a tailored look with these polished pumps from Clarks. Full grain leather, suede, or combination upper features a slight platform for added support. Easy slip-on construction. Soft textile lining. Cushion Plus padding with an OrthoLite footbed reduces impact and gives you all-day comfort. Durable rubber outsole. Imported. Measurements: Heel Height: 3 in Weight: 11 oz Platform Height: 1 2 in Product measurements were taken using size 9, width B - Medium. Please note that measurements may vary by size. Weight of footwear is based on a single item, not a pair. She~ll get a real kick out of dressing up like mom with these chic peep-toe pumps by Nine West Kids! PU upper with intricate cutouts for added appeal. Adjustable hook-and-loop closure. Man-made lining. Lightly padded footbed. Stacked heel. Man-made outsole. Imported. Measurements: Heel Height: 1 3 4 in Weight: 6 oz Product measurements were taken using size 2 Little Kid, width M. Please note that measurements may vary by size. Weight of footwear is based on a single item, not a pair. Keep comfortable all-day in the ECCO Shape M 35 Pump. Pumps in a calf leather upper. Easy slip-on style. Soft leather sock and molded footbed provides exceptional cushioning with every step. Leather-wrapped heel. Internal anatomical shank with PU on both sides delivers continual support. Imported. Measurements: Heel Height: 1 3 4 in Weight: 8 oz Product measurements were taken using size 37 (US Women~s 6-6.5), width M. Please note that measurements may vary by size. Weight of footwear is based on a single item, not a pair. Express your penchant for all things precious and pretty with the Kate Spade New York Gena pumps. Kid suede upper. Ties around the ankle. Round-toe silhouette. Leather lining and footbed. Wrapped chunky heel. Leather outsole. Made in Italy. This item may ship with an attached security tag. Merchandise returned without the original security tag attached or a damaged tag may not qualify for a refund. Measurements: Heel Height: 3 in Weight: 10 oz Platform Height: 1 4 in Product measurements were taken using size 9, width M. Please note that measurements may vary by size. Weight of footwear is based on a single item, not a pair. 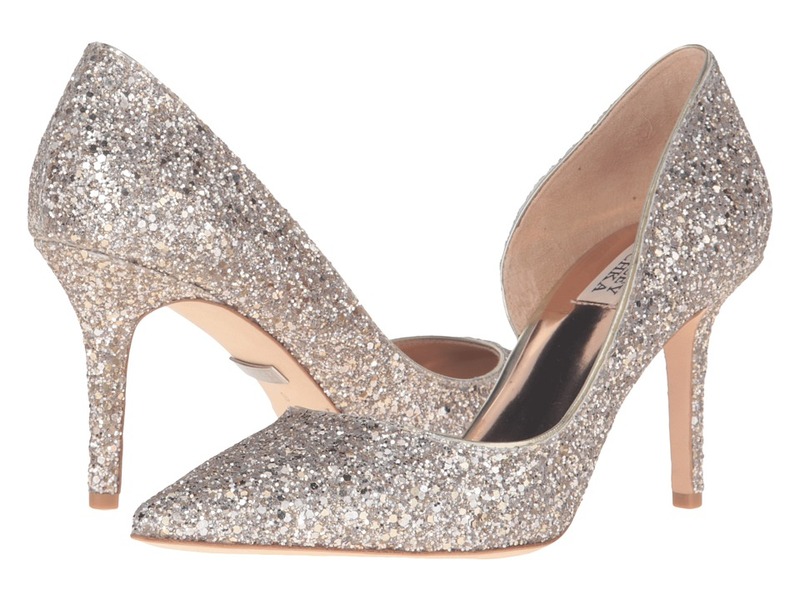 You can~t go wrong with these wonderful Dolores Too pumps from Kate Spade. Velvet, suede or denim upper. Round-toe silhouette. Smooth synthetic lining. Synthetic footbed with embossed logo. Wrapped chunky heel with metallic trim. Synthetic sole. Made in Italy. This item may ship with an attached security tag. Merchandise returned without the original security tag attached or a damaged tag may not qualify for a refund. Measurements: Heel Height: 2 in Weight: 8 oz Platform Height: 1 4 in Product measurements were taken using size 8, width M. Please note that measurements may vary by size. Weight of footwear is based on a single item, not a pair. These gorgeous Maxx pumps are sure to get you noticed in all the right ways! Easy slip-on wear. Smooth leather upper. Point-toe silhouette. Leather lining. Lightly cushioned leather footbed. Wrapped heel. Man-made sole. Imported. Measurements: Heel Height: 3 3 4 in Weight: 8 oz Product measurements were taken using size 7.5, width M. Please note that measurements may vary by size. Weight of footwear is based on a single item, not a pair. 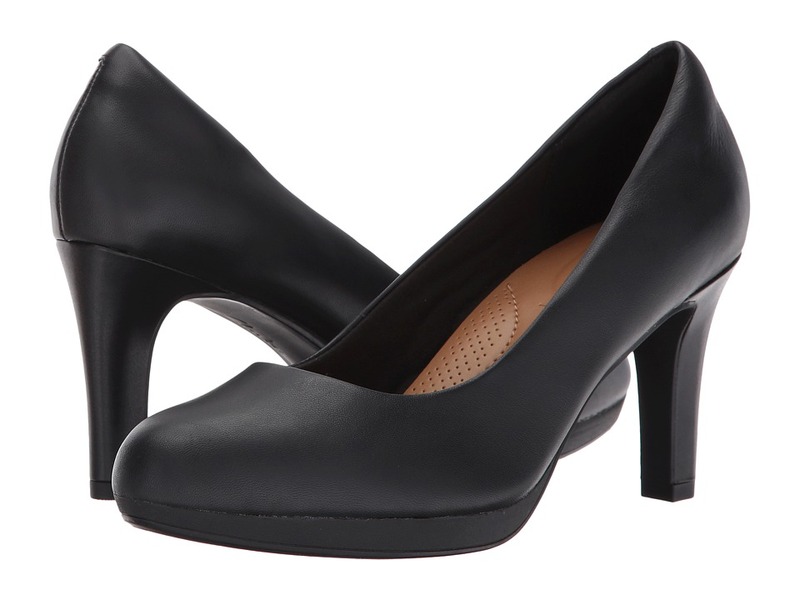 The Gayle pumps are a must-have staple for your wardrobe this season! Available in a variety of upper materials. Please note: upper material will be listed in color name. Easy slip-on wear. Pointed-toe silhouette. Synthetic lining. Lightly padded, secured footbed. Wrapped heel. Man-made outsole. Imported. Measurements: Heel Height: 3 in Weight: 7 oz Product measurements were taken using size 8, width M. Please note that measurements may vary by size. Weight of footwear is based on a single item, not a pair. 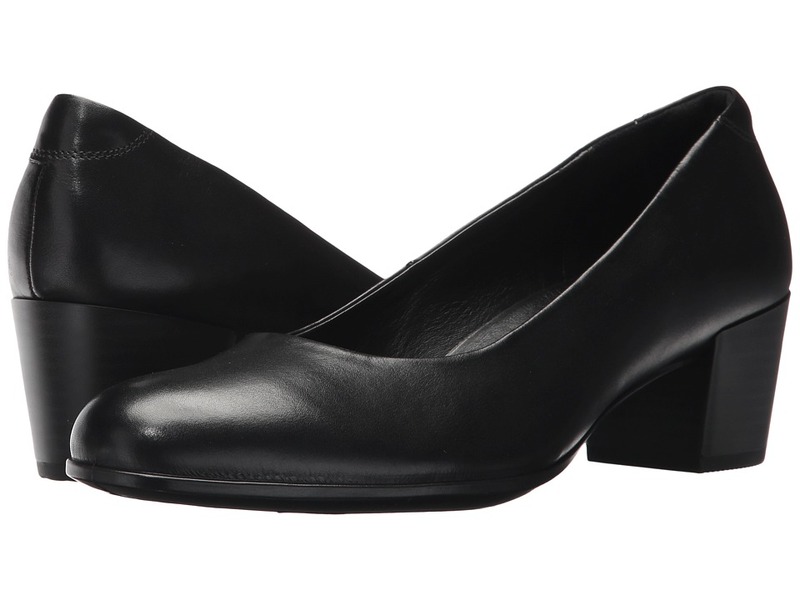 These sleek Jamie Pumps are perfect for those Monday morning meetings! Supple kid suede uppers. Easy slip-on wear. Round-toe silhouette. Man-made lining and insole. Cushion comfort footbed. Wrapped heel with metallic rand detail. Man-made sole. Imported. Measurements: Heel Height: 3 1 4 in Weight: 9 oz Product measurements were taken using size 7.5, width M. Please note that measurements may vary by size. Weight of footwear is based on a single item, not a pair. 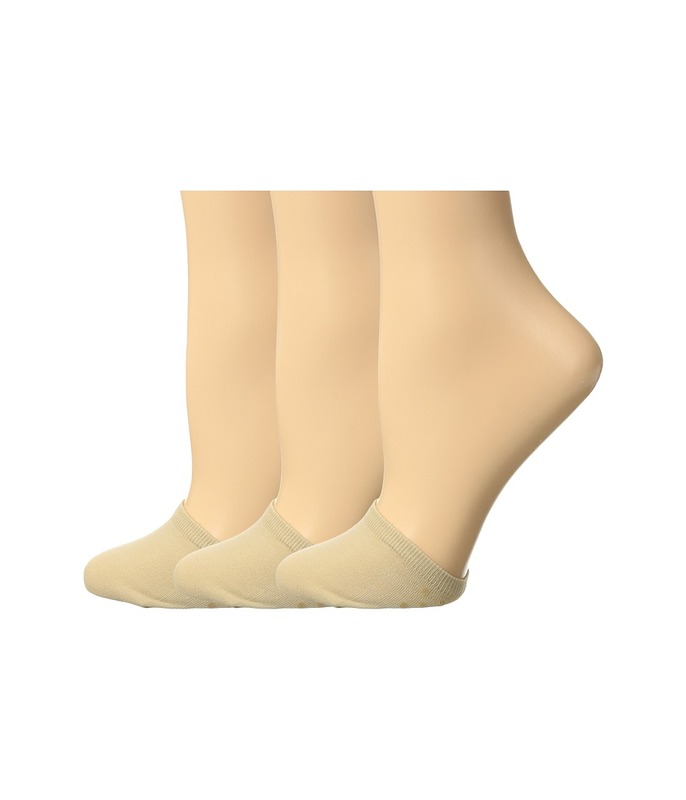 Pair your favorite pumps with these versatile HUE toe cover socks! Find the perfect pairing to all your favorite outfits, whether it be jeans and shorts or skirts and dresses! There~s endless possibilities with stylish legwear accessorizing your look. Comes as a three-pair pack. Toe cover with non-slip grippers. 100 percent nylon with polyester sole. Machine wash cold, tumble dry low. Imported.